Chopra’s “scam” seems to be that she’s an older woman, comes from India, snagged a famous man, and then thrust a suspiciously elaborate, multi-day wedding upon him (which is just the way Indian weddings... are). The writer, Mariah Smith, is black, but the Cut’s editors, and their perspective, are mostly white. This likely contributed to their ignorance about Chopra’s worldwide fame, or that Bollywood dwarfs Hollywood by sheer size. While Hollywood nets more money (a fact partially attributed to the low cost of tickets in India), Bollywood is the world’s largest producer of films, churning out 1,602 in 2012, compared to the U.S.’s 476 films, with sales of 2.6 billion movie tickets annually in India. 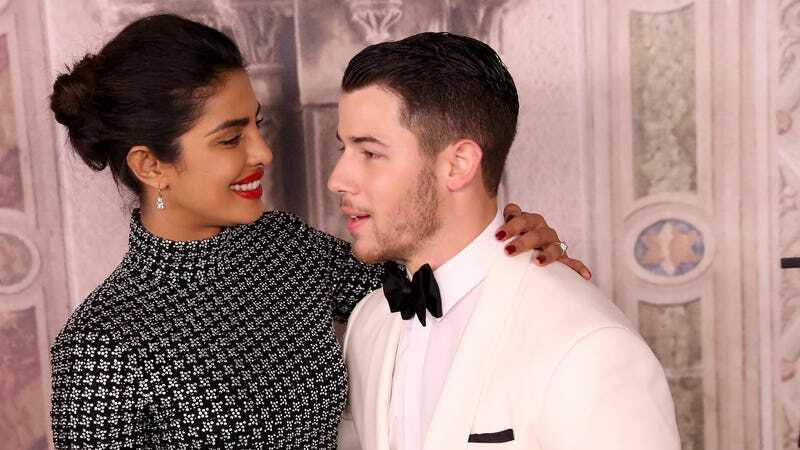 Chopra is a rarity in an industry built on nepotism, rising from middle-class obscurity to become one of its biggest female stars with a 20-year career that is almost as old as Jonas himself. Her net worth is more than his. The presumption that Chopra is chasing Jonas (or any other white American) for his success is absurd. The piece also belies an ignorance over Indian customs and traditions. It acknowledged Chopra as a brown Indian woman, yet hoisted upon her the rules and expectations of Western customs. It is written skeptically of both the multi-day affair that characterizes all traditional Hindu weddings, and the fast nature of their engagement. But in India, where arranged marriages are common and engagements are relatively short, Chopra’s decision isn’t particularly noteworthy (her own parents were engaged 10 days after meeting each other). The piece’s only valid point of cynicism around the engagement and wedding, that the couple is posting SponCon and “finding ways for their relationship to make them money,” is not exactly remarkable. But rather than delve into the culture of influencers monetizing their most private moments, the piece instead fell back on nasty stereotypes about brown immigrant women who marry white American men. Does this white boy understand that he is marrying into royalty? Look, if he fucks this up, he’s dead. As an Indian-American woman, it is exciting to see one of our entertainment icons celebrated in the mainstream publications read by my non-Indian friends. Though we are slowly gaining visibility in the media, Chopra’s wedding—and all of the manic media coverage around it—is the first time we’re seeing an Indian woman in the spotlight in this country. (Previously, we were most identifiable as Apu from the Simpsons). That an Indian woman is dominating news controlled by white outlets is hugely affirming, and openly celebrates a culture that most of us have to cultivate in private. The Cut’s piece, though just one miserable bad take on the internet, is emblematic of the type of ignorance that we continue to fight.